HR Electric Inc is a locally owned and operated family business by Harold Richards. A native to Brunswick Maine, Harold combines extensive experience, and the knowledge and resources, which define him as a leader in the electrian field. 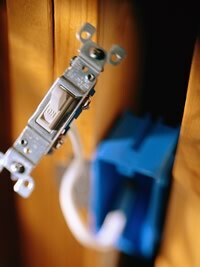 Established in 2004, HR Electric Inc has continued to set standards in the name of residential and commercial electricians. Our employees are professional and non-smokers. We use drop-cloths to keep your home clean. We offer quality service at reasonable prices. Our main emphasis is customer satisfaction.